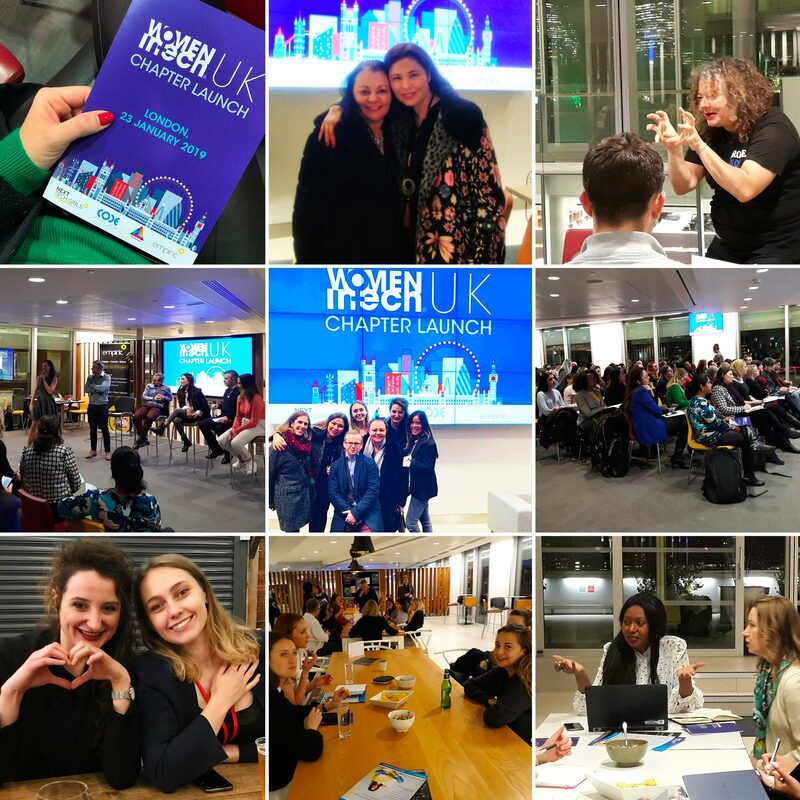 As a new year has started, Women in Tech® is happy to announce the opening of the UK Chapter. Candyce Costa will be leading this chapter as our Ambassador. 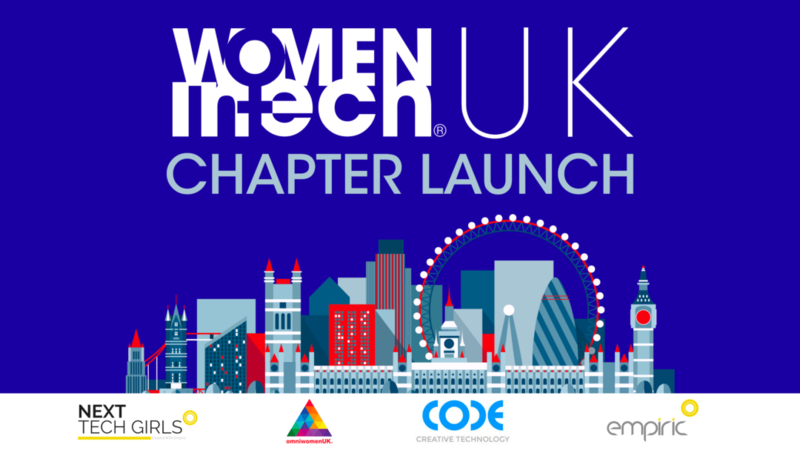 This event will bring together women and men who wish to foster diversity in the tech industry around the UK. Welcoming speech by STEVE BROWN, Next Tech girls, Director Empiric. Matt is the founder and CEO of Code Worldwide. Code is a digital transformation business with a mission to help clients invent a new future for their marketing through technology and data. Code has grown from a 1 man start-up to 9 offices (including 3 off-shore development centres) and is the data/tech provider to Omnicom Precision Marketing Group, the development partner for PHD and OMD’s planning systems and a tech partner to TBWA, DDB, BBDO and DAS agencies. Code’s offering includes Data Engineering & Digital Identity, Marketing Science and Customer Experience Management technologies and Matt is the architect behind its adZU automated marketing platform which Gartner acclaimed as ‘Visionary’. In 2016, Code joined the RAPP Group and Matt become Global CTO of RAPP in addition to his Code work. Matt’s current role is now focussed on Sales & Product Development for Code, continuing to expand the Code network and helping RAPP clients to harness its data and technology capabilities to deliver mass personalisation of experience. Matt is Mancunian, Cambridge-educated and now lives in London with his wife and 2 teenage kids, after a few years in US. He speaks French and German poorly and will happily chat football, rugby and/or politics to anyone who will spare him the time. Head of Marketing, Global Processing Services, London. Nim has over a decade of experience working within the digital & tech space. She has spent the last 4 years working in Tech PR managing the communication and brand reputation for fintech companies such as Fidor Bank, Backbase, Covercy … and this across the UK and internationally. Prior to this, Nim worked on various B2B and B2C client accounts where she was in charge of defining the digital integrated communication strategy for brands such as GE Capital Bank, Cofidis and AXA. She also has a strong background in sales and marketing within integrated web agencies and was a key consultant in designing the eCRM system for the brand Peugeot. Kamila Hankiewicz is an Ex-management consultant turned tech entrepreneur, founded two companies; Untrite – the cognitive automation tech startup and Japana – eCommerce design store offering Japanese knives and minimalistic homeware. Advocate for women in technology, founded Girls in Tech Poland and co-manages Girls in Tech London – NGO supporting women interested in starting or advancing their career in STEM fields. Michelle is Chair of the international committee and senior regional advisor (Africa) at the British Blockchain Association (BBA) exploring emerging technologies such as Blockchain technology particularly in the context of international development, enterprise, climate change, trade and sustainable development. Often referred to as a young thought leader in the Blockchain space her focus is reviewing the impact of this technology for different segments of society and supporting women/business/government/social/economic development and education. Candyce Costa is a Social Media, Sales and Marketing Strategist and also the founder of Digital Business Women, an e-Magazine that is targeted at promoting, inspiring and motivating digital and tech women around the globe. Her 15 years’ experience in management, sales and marketing has helped the likes of X-Box, Microsoft, Cisco, Xerox and more recently the International Conference and Exhibition industry. Her experience is to create strategies where Sales and Marketing would work together to become a very powerful tool not only to generate new business opportunities and growth but also to establish brands, create strong business relationships and social media influence. Ayumi currently leads Women in Tech®, an international organization whose aim is to bridge the gender gap and Help Women Embrace Tech. She is also the founder and CEO of Social Brain, a human scale, an ​award-winning digital agency based in Paris. Together with her international team she handcrafts social media campaigns. Ayumi grew up in an international and multicultural environment: born in Brazil, studied in South Africa, traveled​ and worked in many countries and now lives in France. Katz is an award-winning serial entrepreneur and pioneer. She built the first open innovation platform for HP, re-architected the way a UN agency does business and designed a behaviour change platform Intel that connected mobiles, big screens and data. 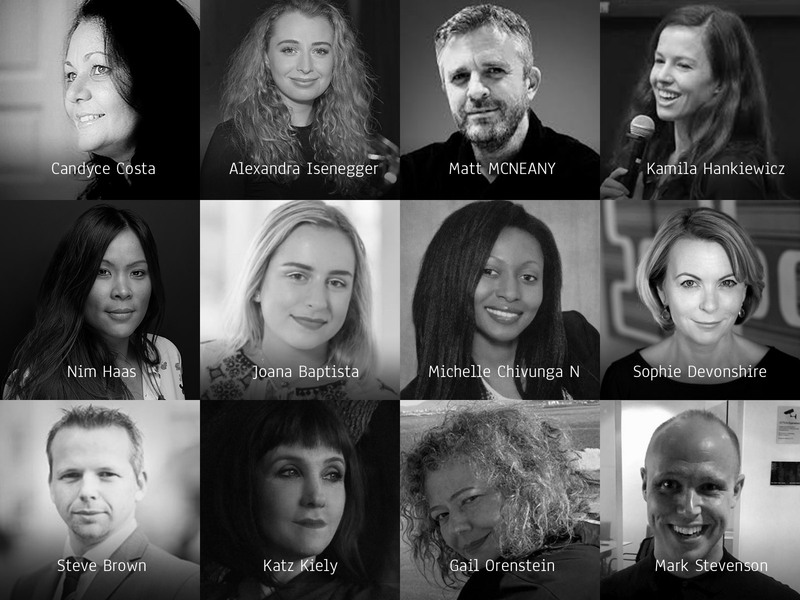 A visible voice in the digital transformation, innovation and behaviour change arena, she keynotes at global conferences including TED, SXSW and the Chief Strategy Officer Summit. She also hosted the Women In tech Awards 2018 in Portugal. Alexandra is an entrepreneur, lawyer and mediator. She founded Linkilaw after spotting a gap in the legal sector due to inaccessibility of legal services for startups and entrepreneurs. She’s passionate about effective communication between people, helping parties understand and be understood. It is through open, honest and truthful discussion that conflicts are mitigated and enterprises thrive. Once this essential foundation is built, she helps solidify it with Linkilaw – drafting simple and effective legal agreements that reflect the true intentions of the people and businesses signing them. At Linkilaw, she’s committed to stopping inefficiencies and helping legal work become accessible through their technology, in-house solutions and legal marketplace. Mark is an experienced Data headhunter managing the Data pillar for Empiric UK. Mark runs an online thought leadership platform called Data!Data!Data! Which consists of his blog/meetup group/LinkedIn community and his 60,000 twitter followers. Named as one of the Top Ten Big Data Experts on Twitter in 2017 and one of the top 5 most influential Data Science profiles online within several publications in 2016 Mark acts as an “Data influencer” with his thought leadership platform called Data!Data!Data! And over 60,000 twitter followers. Steve Brown is a Partner Director at Empiric Solutions the recruitment company with a difference. Empiric deliver specialist technology and change recruitment services globally across its core pillars being; Data, Digital, Cloud and Security. As well as what you would expect from a tech recruitment agency Steve has led the development and growth of the Next Tech Girls initiative something you wouldn’t typically expect from a recruitment agency. Aimed at getting young women interested in technology through a work experience programme that to date this has seen Steve and his team place 100’s of 16 to 20 year olds into brands like 11:FS, Expedia, DWP and Atos (with Code Worldwide coming on-board to support in 2019). 2018 saw the initiative win Diversity project of the year at the Women in IT Excellence Awards, and Empiric to win APSCo’s CSR project of the year. A passionate connector of people it’s his ability to join the dots effectively that helps build the confidence of those around him especially these young women who didn’t realize how exciting the world of tech could be.